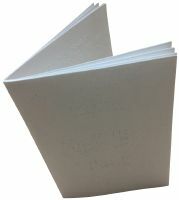 Include Braille Rules on How to Play Tic-Tac-Toe for $5.00? Multi-colored, tactile shapes are good for low-vision and blind players. Pieces fit into board so they will not move when felt. Board measures six inches square. Made of durable, lightweight plastic. Measures about 5-3/4 in by 5-3/4 in by 1-1/4 in. Package Weight: about 5.8 ounces. Also known as X's and O's or Knots and Crosses, Tic-Tac-Toe is a quick yet challenging game for children. The first player to make a straight line (either horizontally, vertically, or diagonally) is the winner ... but it's harder than it sounds. The game is easy to learn, fun to play, and unprodictible until the last move! 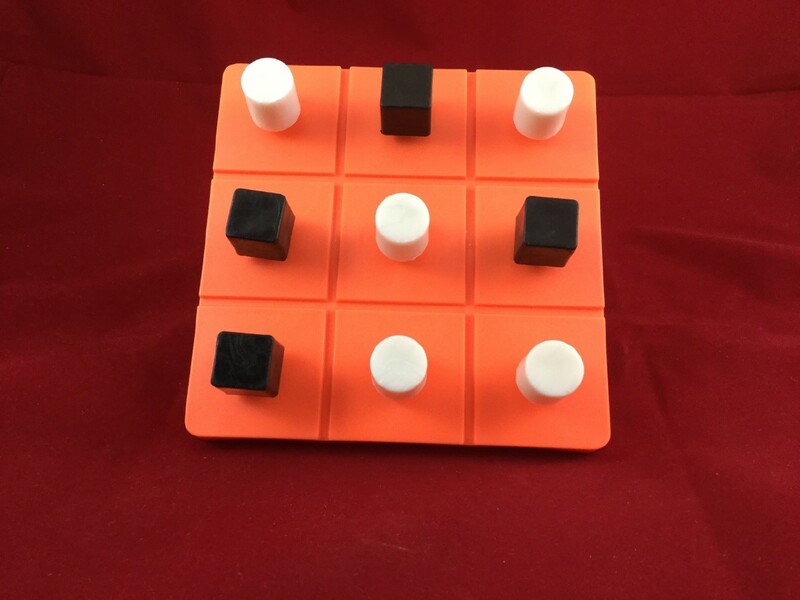 Since the black pieces are square and the white ones are round, blind or visually impaired players will have no trouble telling by touch which pieces are which. Due to these large, tactile pieces, and the full-sized, six-inch playing board, this classic game can be played by kids ages three and up. It's also a good choice for people who aren't used to playing games without sight. So pick up one of these light-weight, durable plastic sets, and let the fun begin! Directions courtesy of Future Aids, The Braille Superstore. Tic-Tac-Toe is a fun and easy game for young children. To win, all you have to do is make a line of the same kind of pieces. Your line can be vertical, horizontal, or diagonal. One player should take the square or X-shaped pieces, and the other should have the round ones. Players take turns placing pieces on the board, trying to make a straight line of three. For young players, the middle is the best spot on the board. If you go first, you should always place your piece in the center. That way, you can try to make a line in any direction. For older players, however, a unique opportunity presents itself. There is a rare, little-known condition whereby one player can set up a forced win, tricking the other player into thinking he is playing recklessly. One example of this would be the following. Tim places an O in the top-left corner. Delighted, Riley takes the middle square. Tim then places an O in the bottom-right corner. Looking for a diagonal win, Riley places an X in the bottom-left corner. In response, Tim places an O in the top-right corner, blocking Riley's bid for a line of 3 and guaranteeing his own win. Tim now has two possibilities for a line of 3, and Riley can only block one. Even before Riley places his final piece, Tim has won the game. Tic-Tac-Toe is an unusual game. Fun and quick, yes, but unusual. If nobody makes a mistake, the game will usually end up as a tie. You see, there's usually a chance for a player to block his opponent's line. But often, that chance is missed ... and that's what makes the game so unpredictable. Pay attention, and you'll do fine. But if you start daydreaming about building a sand castle on the beach in the middle of a sunny afternoon? ... You'll probably lose.